Her Highness Sheikha Moza bint Nasser has played a major role in spearheading education and social reforms in Qatar and globally for the past two decades. Her Highness works with the United Nations to support global education and key areas of development for marginalized children and youth, through her role as UN Sustainable Development Goals (SDG) Advocate, among her other UN roles. In 2008, Her Highness established Silatech to empower youth and to tackle the rising global challenge of youth unemployment globally. 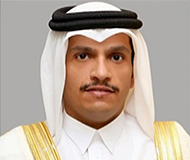 HE Sheikh Mohammed Bin Abdulrahman Bin Jasim Al Thani is the Minister of Foreign Affairs of the State of Qatar. In 2012 he was appointed as Undersecretary and then Assistant Foreign Minister for International Cooperation Affairs where he held this position from 2014 until he was appointed as Minister of Foreign Affairs in 2016. H.E. Sheikh Mohammed Bin Abdulrahman Al Thani obtained his Bachelor’s degree in Economics and Business Administration from Qatar University. 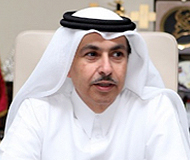 Sheikh Saud Bin Nasser Al Thani is the Group CEO of Ooredoo. Sheikh Saud has led Ooredoo Qatar to build on its position as the country’s preferred communications provider and has supported the expansion of its product and service portfolio, in addition to making Qatar one of most successful and consistent markets in the group. Sheikh Saud has a Bachelor of Arts in Public Administration from Western International University, in Phoenix, Arizona. He also holds a Bachelor’s degree in Business Administration. H.E. Dr. Hessa Al Jaber is the former Minister of Information and Communications Technology in Qatar. Prior to becoming a minister, Dr. Hessa held the position of Secretary General of the Supreme Council of Information and Communication Technology (ictQATAR) where has overseen the liberalization of Qatar’s telecommunications market, ushering in an era of choice and competition. Dr. Hessa holds a Bachelor of Science in Engineering from Kuwait University, and a Master’s Degree and Ph.D in Computer Science from George Washington University in Washington, D.C.
Dr. Waleed Al-Wohaib is the Director General of the Islamic Solidarity Fund for Development (ISFD). 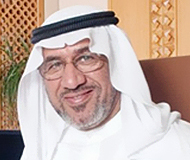 Before he was appointed by the Islamic Development Bank (IDB) as a Director General for ISFD, Dr. Al-Wohaib was the Chief Executive Officer of the International Islamic Trade Finance Corporation. He is the co-founder and he managed the corporation since its inception. Dr. Al-Wohaib obtained his Doctorate and Master’s degrees, specializing in Public Administration, from the University of California, and his Bachelor’s degree in Mechanical Engineering from the University of Kuwait. 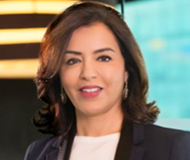 Mrs. Maha Al-Ghunaim co-founded and managed Global in 1998 and since then it became a prominent asset management and investment banking firm in the region. Mrs. Al-Ghunaim has over 31 years of experience in the financial sector and she has served on the board of several regional companies and advisory boards and held several senior positions. She has been recognized as a role model for Arab women and women in the Islamic world and she is named one of the world’s most influential women. Mrs. Al-Ghunaim holds a Bachelor’s degree in Mathematics from San Francisco State University, California, USA. 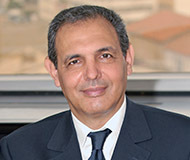 Mr. Karim Hajji is the Chief Executive Officer of the Casablanca Stock Exchange, the second largest exchange in Africa, and a member of the World Federation of Exchanges. In 2014, he became Vice Chairman of the African Securities Exchanges Association (ASEA). Mr. Hajji holds an MBA from New York University’s Stern School, a diploma from “Institut d’Etudes Politiques de Paris” and a Master’s degree in capital markets from the University of Paris. 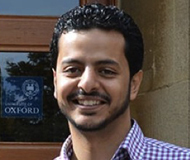 Mr. Rafat Al-Akhali is the Co-Founder and Chairman of Resonate Yemen, a leading non-profit foundation that specializes in the field of engaging youth in public policy in Yemen. Mr. Al-Akhali has been active in the field of youth development and youth political inclusion since 2004. He was appointed as the Minister of Youth and Sports in Yemen in November 2014, a post he held until September 2015. Mr. Rafat earned his Bachelor of Applied Information Systems Management from Southern Alberta Institute of Technology in Calgary, Canada, his first Master degree in Business Administration (MBA) from Ecole des Hautes Etudes Commerciales (HEC) Montréal, Canada, and his second Master’s degree in Public Policy (MPP) from the Blavatnik School of Government, University of Oxford, UK. Ms. Amal Bahwan is the Vice Chairperson of Suhail Bahwan Group Holding LLC, and is an accomplished leader and a proven business professional with a track record of successful business transformation and consolidation, new business ventures, revamping businesses into robust profit centers with the last two years focusing on shifting from less-yielding trading business to high-yielding manufacturing business model while creating corporate value and brand reputation. Ms. Bahwan holds the direct management and P&L responsibility for the Group’s business entities in Oman and the business enterprises in Dubai & Abu Dhabi (UAE) – all under the Suhail Bahwan Group Holding – one of Oman’s largest and most professionally managed business organizations; which have an approximate turnover over OMR 220 Million (US$ 570 Million) and employ over 5,000 personnel. Other held positions include the Chairperson of Al Jazeera Steel Products Co. SAOG, Director of National Bank of Oman, Director of the National Pharmaceutical Industries Co. SAOC., the Director of Oman Oil Marketing Co. SAOG. (OOMCO), the Director of the Oman Dental College, and the Managing Director of DHL Global Forwarding LLC. 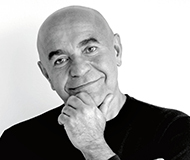 Mr. Kamran Elahian is the Founder and Chairman, Global Innovation Catalyst, LLC. As an Innovation Catalyst, Kamran advises various governments on the needed transition from fossil based economies to sustainable innovation economies. In the past, as a global high-tech entrepreneur, he co- founded ten companies, produced 6 exits, 3 of them Unicorn IPOs with a total market cap of over $8B. For 15 yrs., he was Chairman of Global Catalyst Partners, a global VC firm ($350M under management) with investments in the U.S., Japan, China, India, and Singapore. 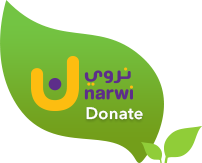 Underlying his vision for global philanthropy is the conviction that modern Information and Communication Technologies (ICT) can be instrumental in dissolving barriers between nations and bridging the social and political differences among people. This vision was reflected in Schools-Online, a nonprofit he co-founded in 1996 to connect the world, one school at a time (6400 schools in 36 countries were provided with computers and access to the Internet) and merged with Relief International in 2003; Global Catalyst Foundation, co-founded in 2000 to improve lives through effective education and empowerment of the youth (with special emphasis on young women) using the leverage of ICT, and UN-GAID, a United Nations global forum that promotes ICT in developing countrieswhereheserved asCo-Chairman(2009-2011). 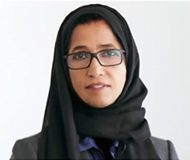 Ms. Sabah Al Haidoos is the Chief Executive Officer of Silatech. Ms. Al Haidoos co-led the Education Reform Initiative in Qatar that included leading and managing a culture of change in the educational community. She has held multiple leadership positions in the education field, most recently an advisor for the Vice President office of the Supreme Council of Education between 2012-2014. Prior to that she served as the Director of the Education Institute at Qatar’s Supreme Education Council between 2004- 2012, where she presided over many leading national education initiatives and made positive contributions toward change the culture of education. 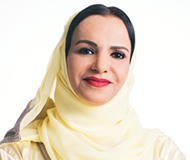 Ms. Sabah Al Haidoos holds a Master of Public Policy in Islam from College of Islamic Studies at Hamad Bin Khalifa University, and a Bachelor of Education and Science (specializing in Mathematics and Physics) from Qatar University, as well as an advanced school administration degree from James Madison University, Virginia, USA.